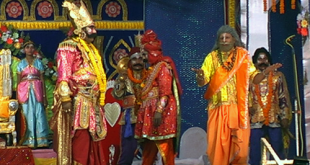 Sambalpur: ‘Subhastamba Stapana’ popularly known as ‘Indradhwaja Stapana’ for the 68th National Dhanu Yatra Mahotsav at Bargarh completed with traditional Puja at the temple of Maa Samaleswari on Sunday. ADM of the district Bijay Kumar Rath performed the Puja in the temple. All other important personalities of the district and the members of the Dhanu Yatra committee were also present. 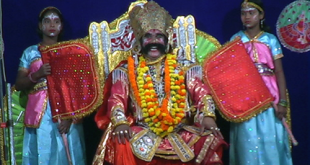 Dhanu Yatra, world’s biggest open-air theater, is a theater having the biggest assembly of actors, with almost the entire population of Bargarh, about 380 km from Bhubaneswar, and its nearby villages participating in the play. 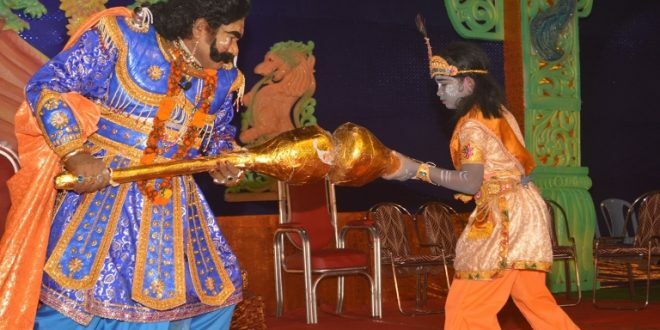 “With Subhastamba Stapana, the process for the world famous Dhanu Yatra, treated to be the world’s biggest open-air theater has begun in this town,” informed Sureswar Satapathy, the convenor of the Yatra committee. After the traditional Puja in Maa Samaleswari temple, a large cultural procession went around the town that finally reached Hatapada to inform people about the beginning of Dhanu Yatra in the town. The Purohit (priest) worshiped Lord Indra and Dasadigapal for smooth completion of the Yatra without any hurdle. At the same time, Maa Purnamashi was also worshiped. “Maa Purnamashi’s blessings is required for the successful celebration of the festival,” informed the priest. 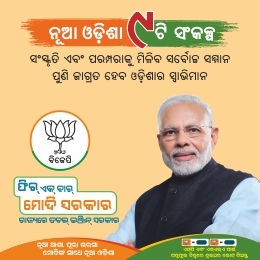 Further, a similar celebration will also be held on December 16 at Ambapali that will turn as ‘Gopapura’ during the Yatra.